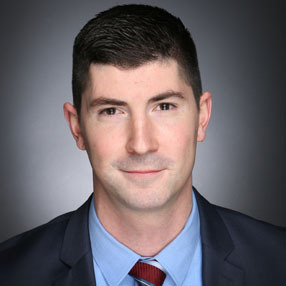 Brian Frankoski joined the firm as an Associate in the summer of 2017, after having practiced in the insurance defense field. He is a 2014 graduate of Seton Hall University School of Law, where he participated in extensive trial advocacy programs, including the pro bono representation of youths in the Juvenile Justice Clinic. Mr. Frankoski takes great pride in representing the firm’s clients during a time when they are most in need of help. He has a passion for litigation and the study of law. He is also a long-standing volunteer with Big Brother Big Sister of Essex County, as well as a NJSIAA Board Certified High School Basketball Official. Mr. Frankoski is a 2010 graduate of Muhlenberg College, where he studied Business and Economics, and was a 4-year member of the Muhlenberg Men’s Basketball team.